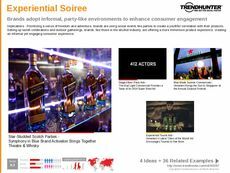 Find Better Ideas, Faster ® with a custom alcohol-free trend report, our PRO Dashboard and 80+ categories of premium trend reports. 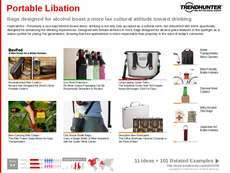 The Alcohol Free Trend Report looks at the growing number of non-alcoholic establishments, accommodations and products that exist today. 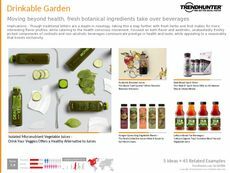 The rise in these types of products and services goes hand-in-hand with an increasing number of health-conscious consumers. This report will uncover trends in alcohol-free wines, sparking wines and beer -- all of which aim to mimic the mood and atmosphere of alcoholic beverages, but act as a healthy alternative. 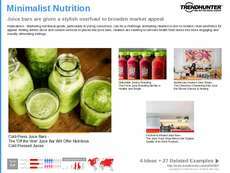 Furthermore, this report will look into various juice bars, alcohol-free restaurants and hotels as well. This report targets product developers in the food and beverage industry, as well as professionals in the travel and tourism sector who wish to cater more services to this growing demographic. However, marketers and advertisers can extract the most value from this report, and gain insight into this niche group of consumers. 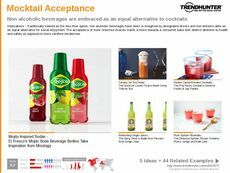 The Alcohol Free Trend Report provides both an expansive catalog of trends in this growing field, but more importantly, is packed with consumer knowledge that describes which types of products and services consumers are resonating with the most.